Saving lives through ... lunch? As a new Year 7 at a prestigious private girls’ school, attractive, outgoing Natalie Hampton was super-keen to make friends. She expected it would be easy. Before long, the panic attacks began. Then came the chronic headaches, stomach-aches and nightmares. Eventually, Natalie started to suffer from a kind of Stockholm Syndrome. She didn’t exactly identify with her tormentors, but she began to internalise their messages. They were right. There was something wrong with her. She never would have any friends. There was one phrase that summed it all up, and it was something Natalie heard repeatedly, every lunchtime. 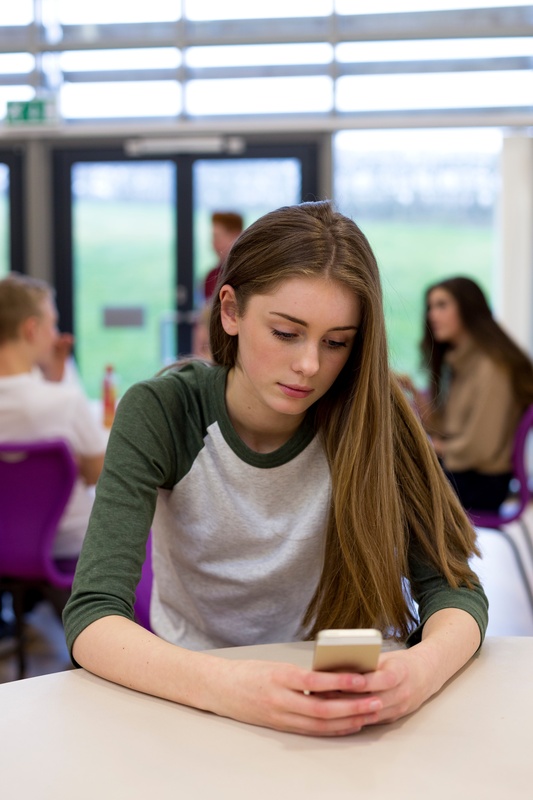 Psychologists tell us that for all human beings, but for teens especially, social connection isn’t just “the icing on the cake.” It is the cake. A child who is socially isolated is being metaphorically starved, notes Dr. Pamela B. Paresky, author of Happiness and the Pursuit of Leadership. And just as literal malnutrition can lead to illness and even death, so too can friend-deprivation. And it’s a situation that can rapidly escalate. Children with “high social capital” - what you and I would call the popular kids - generally start the ball rolling. But kids who are further down the pecking order may join in in a bid to raise their own social capital. And yet this is how a culture of bullying is allowed to flourish. For teens, friends aren't the icing on the cake. 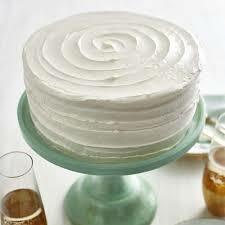 They are the cake. In Natalie’s case, that culture translated into two years of misery - and four physical attacks. Eventually, her parents agreed to let her change schools. You can imagine how she felt that first day in her new school. Anxious. Petrified, even. But another student, seeing that she looked lost, befriended her. 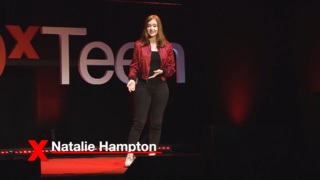 “It saved my life,” Natalie explains in the popular TedX Teen Talk, “All It Takes Is One,” where she tells her story. At lunchtime, she took the risk to pay that kindness forward, reaching out to a girl who looked like she had no place to sit. That girl would later become one of her best friends. But what Natalie had no way of knowing was that, until that simple invitation to sit down and have lunch, she’d felt so isolated that she’d actually contemplated suicide. Three simple words - “Sit with Us” - had saved someone else’s life. 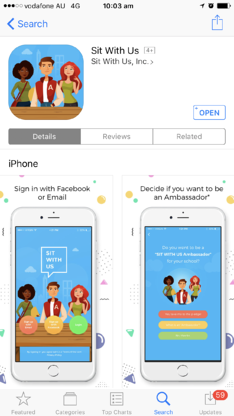 A social networking app designed to promote kindness and inclusion in schools, Sit with Us lets kids coordinate lunches with friends in a discreet way, and using their preferred platform: social media. The app also allows users to volunteer to become Ambassadors at their schools, posting “open lunch events” where all students are welcome. To get started, kids create a personal profile, and search for lunches nearby. They can also send messages to friends or create group chats. Like any other social app, notifications ensure users won’t miss out on messages and friend requests. Points can be earned by posting lunch, approving another’s request, adding a friend and other positive behaviours. “Sit with Us” was launched late last year and is available in Australia. Cyber Expert and clinical psychologist Jordan Foster gave the app a test drive this week and came away a huge fan. “I adore the concept. In fact, I’m sitting here in awe of it.” But she notes that the effectiveness of the app will depend on achieving a critical mass of users. So If you have a child starting at a new school this year, check it out on the App Store or Google Play, and talk to your kids about it, Jordan advises. Bullying doesn’t need to be a fact of life - and surprise, surprise! social media may be the secret weapon.